The United States is a great place for international students to study tourism management because of the importance the tourism industry has within the U.S. economy. There are hundreds of schools with tourism management degree programs located in the center of America's biggest tourism destinations. International students have a variety of different options when it comes to tourism management courses in the U.S; they can complete certificate/training programs, attend a community college, university, or complete tourism management courses online. Most undergraduate programs will involve a period of work experience or internships as part of the course. Usually these work periods can vary in length from one semester (three months) to two semesters, or even longer. This work experience is a very important part of the degree program because it gives students the knowledge and skills to perform the job correctly when employed. Many employers view this internship experience as a very valuable asset when looking to hire graduates. Also because of the international nature of this industry, language courses are usually options or core components of a tourism management degree program. International students who speak more than one language may have a greater advantage in the industry because of their knowledge of different languages and cultures. For graduate students who are considering the opportunity to study tourism management, a Master's Degree can give them the edge needed to obtain a top-ranked job within the industry. Some universities and colleges that offer tourism management courses in the U.S. are: Iowa State University, Fairleigh Dickinson University, and University of Central Florida. These schools offer both graduate and undergraduate degrees in this area of study. Online degrees or certificate programs, like the one offered by George Washington University, award students a certificate in Sustainable Tourism Management after completion of the course. Students are able to complete courses like this one on their own schedule by using a computer in their home (with access to the Internet). Online courses and certificate programs are usually recommended for students who already have a Bachelor's/Master's degree or for industry professionals who want to gain more knowledge in a specific area of concentration. Because of recent economic growth in the industry, now is the opportune time for international students to take tourism management courses and pursue a career in the tourism industry. There has been major economic growth in 2010 and 2011 in the global tourism industry. According to the World Travel and Tourism Council (WTTC) global travel and tourism is expected to grow by an average of four percent per year from 2011 and 2021. The WTTC also predicts that there will be more than 69 million jobs in the travel and tourism industry in 2021. It is believed that the majority of these new jobs (80%) will be in Asia, Latin American, the Middle East, and Africa. According to the U.N. World Tourism Organization, in 2010 the fastest growing regions in the tourism industry were Asia – with 204 million tourists (a 13% increase), and the Middle East – with 60 million (a 14% increase). The Americas grew by 8 percent (151 million international tourists) and Africa by 6 percent (49 million international tourists). Europe, the world's top destination for international tourism, grew by 3 percent and had 471 million international tourists in 2010. With hundreds of different tourism management courses and programs available in the U.S., it is clear that the United States is one of the best locations for international students to study tourism management. Students can choose to earn a degree or certificate from universities, colleges, certificate/training programs, or online courses. Also, tourism is one of the few industries to show improvements and growth despite the current economic recession. As the industry continues to improve, more job opportunities will be available to graduates all over the world. Learn more about studying tourism in the USA by reading our growing article collection. « Study Guide by Subject	« Study Tourism in the U.S.
Over time we will be updating this section and including more information for those who want to study tourism in the USA and for other countries, but please feel free to post your thoughts and comments on our Facebook fan page, and also follow us and post questions through Twitter. 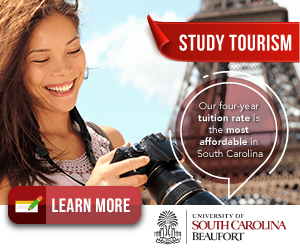 Visit the Study in the USA School search to find schools that offer programs of study in Tourism.